This chapter is the preliminary result of a long-term research project that aims to understand the status of fine art education in one area of China. The fieldwork was based in the Nanjing municipal area within Jiangsu Province, China. It utilized concepts and ethnographic fieldwork techniques from cultural anthropology. The present chapter attempts to use the current data to decipher one of the many interesting phenomena observed in fine art education. This is significant for the fact that in China, professional art educators are trained in undergraduate-level fine art programs in schools of art rather than colleges of education in the West. Therefore, the recruitment process for first-year university students in the visual arts is the same as the recruitment process for fine art education professionals. The present chapter focuses on a loophole embedded in the system of university entrance examinations (the gaokao system) in the recruitment that allows students to enter higher-ranked universities despite weaker academic scores. The loophole highlights local ideas that surround fine art education. This chapter is organized in four parts. The first part introduces the background of the research and the present chapter. 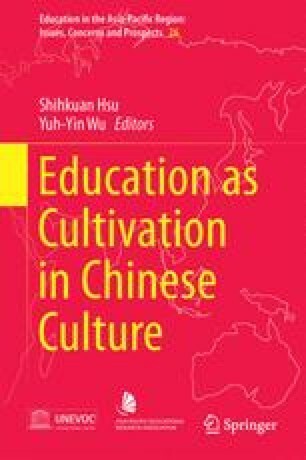 The second part describes those aspects of the gaokao system that involve the recruitment of fine art freshmen. The third part further contextualizes the loophole. The fourth part discusses the meaning of the loophole, the status of fine art education in China, and the implications this situation has on understanding the status of fine art education in the Chinese-speaking world.